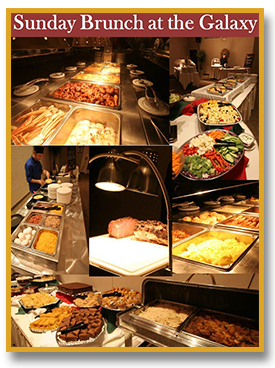 This bountiful buffet will please everyone in the family with an extensive offering of items and featuring an omelette station, chef carving station and our fresh bar. Coffee, Tea, and Iced Tea included in price. Featuring fresh squeezed orange juice, mimosa's, virgin and regular bloody marys for addtional cost.